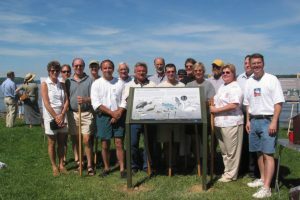 Susquehanna Heritage is a regional non-profit organization and Pennsylvania Heritage Area collaborating with local, state, and national partners to connect people to the Susquehanna River and its history. Our work focuses on the Susquehanna Riverlands – the ribbon of scenic and historic landscapes and communities along both shores of the river as it flows through Lancaster and York Counties in South Central Pennsylvania. Susquehanna Heritage is based at the Zimmerman Center for Heritage, an historic home on the river near Wrightsville. We also manage the Columbia Crossing River Trails Center, a visitor education center on the waterfront in Columbia. Susquehanna Heritage is part of HeritagePA, the statewide network of officially designated Pennsylvania Heritage Areas. Since designation as a Pennsylvania Heritage Area in 2001, Susquehanna Heritage has helped secure over $3million in local public support, $12 million in state and federal grants, and $4 million in private giving for heritage, conservation, and tourism development efforts in Lancaster and York Counties. Vision – We envision the Susquehanna Riverlands as a nationally recognized destination for outdoor fun and cultural discovery. Mission – We work to enhance quality of life and economic vitality by promoting the preservation, conservation and interpretation of the river’s cultural and natural heritage. Our programs and projects focus on Tourism Development that increases the visibility and readiness of the river as a visitor destination and Placemaking that enhances the quality and appeal of the river’s special places and landscapes. Read our Strategic Plan to learn more about our focus and priorities. As a 501(c)3 non-profit group, Susquehanna Heritage operates according to an annual budget, financial plan and auditing process. 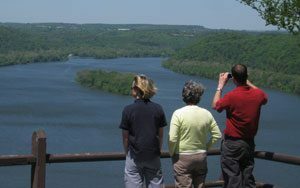 We fund our work through cooperative agreements and grants from public agencies and foundations, along with private contributions from generous Friends of the River who value the historic and natural wonders of the Susquehanna. Susquehanna Heritage was founded as a non-profit organization with a two-county Board of Directors in 2002 after state designation of Lancaster and York Counties as a Pennsylvania Heritage Area in August 2001. Staff were hired and programs and projects launched in 2003. State designation resulted from an extensive, locally driven community involvement process. Key milestones included a Feasibility Study in 1999 and a Management Action Plan in 2001. These studies documented the region’s historical significance and community capacity to effectively support and manage a Pennsylvania Heritage Area. Originally known as the Lancaster-York Heritage Region, our increasing focus on heritage and outdoor recreation along the Susquehanna River led to a new name in 2009 – Susquehanna Gateway Heritage Area. We simplified our name to Susquehanna Heritage in 2015. 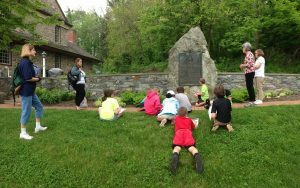 Develop authentic interpretation of the Susquehanna River’s heritage and history and provide place-based education. Encourage preservation and protection of cultural and natural resources. Advocate for high quality visitor facilities and services. Foster intergovernmental cooperation and public-private partnerships.